Seeing a sports injury chiropractor for treatment is an efficient way to treat injuries without narcotics or invasive surgeries. You can easily injure yourself while engaging in physical activity; a small misstep can result in a spinal shift or pinch. If you were to visit the emergency room after obtaining an injury, depending on the severity, they would likely treat the symptoms of pain with medication and send you home. At Reza Chiropractic in St. Petersburg, we focus on identifying the cause of the injury and treating the source rather than masking the symptoms. The goal of our treatment and care is to provide lasting results. 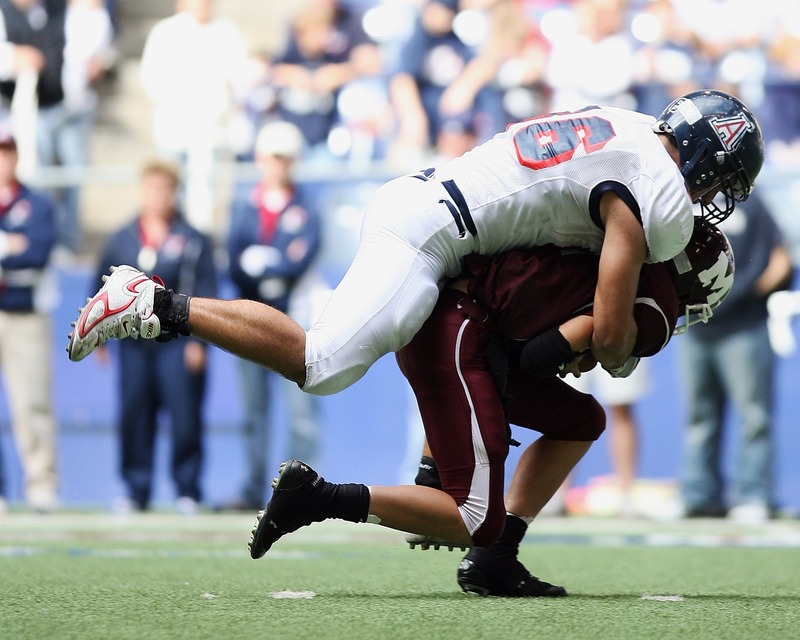 How is a Sports Injury Chiropractor Different from Other Chiropractic Treatments? You might seek out chiropractic treatment in St. Petersburg for a variety reasons, from poor posture to severe pain. A sports injury chiropractor is a branch of chiropractic care that specializes in treating injuries related to physical activity. One of the main differences between sports and regular chiropractic treatment is the areas that receive the most attention. A chiropractor will focus on treating specific areas that are most likely to be injured in order to address the current injury and prevent future ones. The following are a few of the areas that are important in athletic care. The neck is one of the most easily injured parts of the body due to the amount of movement it has to perform, especially in fast-paced athletics. Many athletes can experience whiplash, which occurs when the neck moves quickly or forcefully back and forth. Whiplash will cause inflammation and potentially more severe damage and loss of motion. A sports injury chiropractor in St. Petersburg can use gentle massage and manipulation to relieve irritation and restore movement. Discs in your spine act as shock absorbers for motion and activity. A sports injury can result in these discs becoming inflamed or even herniated, which means the disc has moved out of place. Treating discs with surgery can make the problem even worse, whereas chiropractic treatment can gently put things back in place and soothe inflammation. A sports injury chiropractor is also equipped to treat pinched nerves. A pinched nerve occurs when too much pressure is being applied to the area surrounding; it can cause numbness, tingling, and pain. At Reza Chiropractic in St. Petersburg, we are trained to help you find comfort after suffering athletic injuries. What Are the Other Benefits of Chiropractic Treatment? The most important reason to see a sports injury chiropractor, or any chiropractic doctor, is that this practice is a form of natural medicine. That means that we provide you relief and improvement in many areas of your life without putting you on potentially harmful prescriptions or performing unnecessary surgeries. We believe that the body is best at healing itself, and seeing a chiropractor is a great way to help jumpstart the process. If you suffer from any of these problems and live in the St. Petersburg area, Reza Chiropractic can help you find relief. Back and neck problems from sports injuries can affect every area of your life. A sports injury chiropractor can work with you individually to identify the cause of your pain and also work to gently reverse any damage. If you want to seek out the care of a chiropractor in St. Petersburg, look no further than Reza Chiropractic. You can make an appointment with us today by calling us at (727) 526-7700, or you can visit our website for more information.